The historical building of the National Theatre was constructed in 1883, is widely considered the prime stage and a national monument of Czech history and art. It is the flagship of the National Theatre institution is amounting to four buildings. 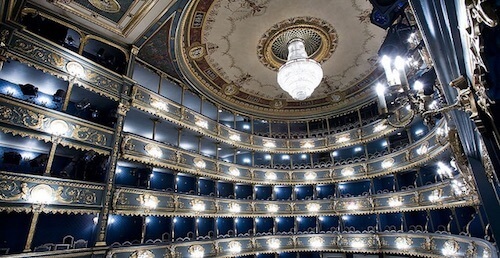 Today the National Theatre consists of three artistic ensembles: opera, ballet and drama. Almost the first thing anyone finds out about Prague is that W.A. Mozart used to visit the city, and in between shooting billiards and racking up bar tabs, he conducted and performed on occasion. Some of his works are always in the local opera and concert schedules. The National Theatre has just premiered a new staging of his final opera, Die Zauberflöte (The Magic Flute / Kouzelná flétna), at the opulent Estates Theatre. 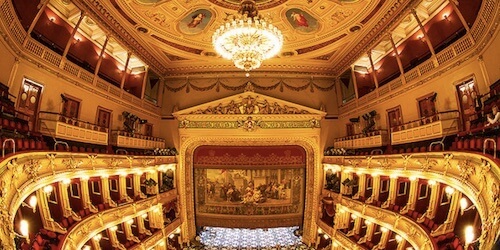 It’s one of the oldest theatres in Europe, conducting Opera, Drama and Ballet performances since 1783. 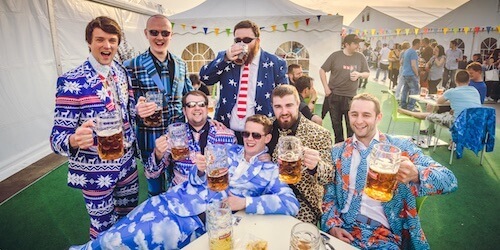 With liter-large tankards and barmaids dressed in, uh, traditional costumes, comparisons to Munich’s Oktoberfest are inevitable, but the Czech Beer Festival has a certain je ne sais quoi that is uniquely Czech. It’s something to do with the gravitas given to the brewing tradition here, which has manifested in such a epic event: With more than 70 types of beer on tap, it’s a fair representation of this country’s rich and diverse hopsy offerings, and the festival now has five years of experience under its belt in catering to the unquenchable thirst of beer lovers. The 17-day event, running this year from Thursday, May 11 through May 27, has been ranked among the top must-guzzle events worldwide.